Current book Recently finished The Magnolia Story by Chip and Joanna Gaines and already want to read it again! Also reading the book of Genesis in the Bible. Current craving A trip to Hobby Lobby. I’ve been wanting to do some crafting. Maybe I’ll make a trip out this week. I love that store! Current blessing Jimmy, as always. He fixed the fuel pump in my truck and it is now back in working order. He has saved us so much money over the years with his handiness and knowledge of all things car-related. Current beauty product NuSkin SPF 50 Sunscreen. Jimmy and I got a few bottles of this before we went to the beach last month and I also use it while I pet sit, mow, and work in the garden. It works well, smells great, and doesn’t feel like it just sits on my skin, if that makes sense. Current obsession Get togethers! We had Jimmy and Josh’s birthday cookout over Memorial Day weekend, and then we had Jimmy’s mom and siblings over this weekend to grill celebrate his birthday. I am just loving spending time with family and firing up the grill. We even set up our little lighted pop up canopy! Current need More hours in a day. I feel like summer is so amazing and busy and I’d like about ten more hours per day to get everything done and enjoy this beautiful season. Current goal Getting started on our daughter’s room. We have all sorts of ideas, we just need to get to work! Current food Dark chocolate almond butter. Also loving all the seasonal produce this time of year like corn, watermelon, and tomatoes! Current procrastination Organizing our spice cabinet. Currently, we have these magnetic spice tins on our fridge and have other spices in a cabinet and it just feels disorganized. We’ve had the magnetic tins for a few years and they’re starting to show signs of wear. I don’t know if I should replace them or just keep everything in a cabinet. Any ideas? Current excitement Jimmy finished making our bed and we are loving it! Would anyone want to read a post about it with progress pictures from along the way? So sweet Allie thank you for sharing ! Would love to see the progress pictures if the bed! Thanks, Dad! I will be sure to post about it! 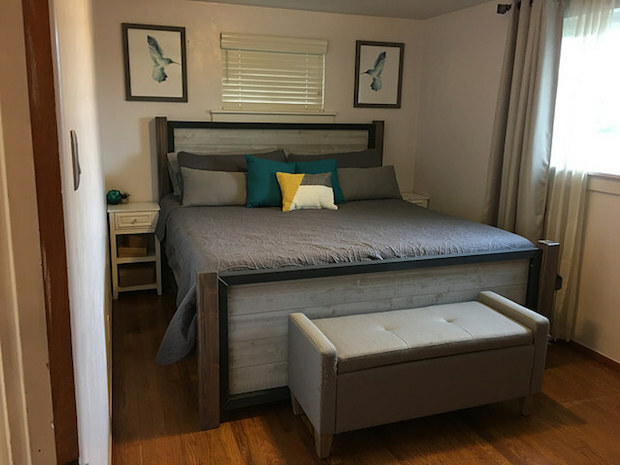 I would definitely love to see a post about the beautiful bed frame Jimmy made!! He is such an amazing & talented young man!! The beautiful bench he made us will last forever and I absolutely love that he designed and made it himself. Oh- and no more walking to pet sitting ~ ever. That road is too dangerous! Haha, I agree, no more walking to pet sitting! That was a bit too scary for me! I will pass The Magnolia Story right on back to you after I reread it! I definitely vote for a Hobby Lobby trip! Love you! First off, I adore Magnolia Story. Such a good read and who doesn’t love Chip and Joanna?! Secondly I want the lighted tent you have in the backyard. 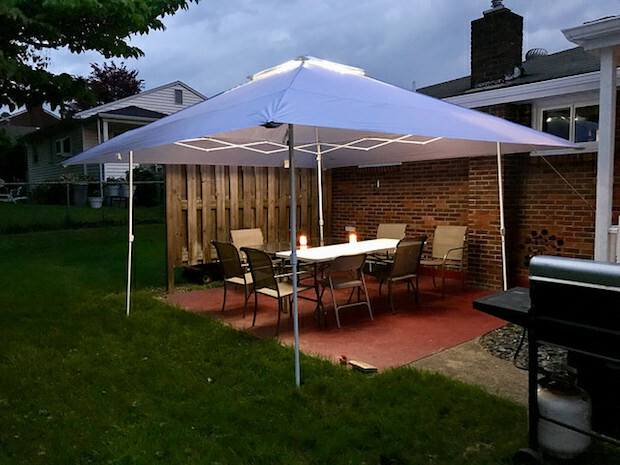 It creates the perfect setting for the day and evenings when having people over. Love it. The bed looks amazing! Jimmy did a fantastic job! It looks like you spent a million dollars on it but it’s homemade. Just wow! Aww, yay! I’m so glad you read Magnolia Story! It was truly such a wonderful book and made me love Joanna and Chip even more! Thanks for the compliments on the tent and bed!! We are really enjoying both! You are super lucky that Jimmy knows about cars! That kind of knowledge is so worth having because it will save you so much money in the long run and also time. Not to mention saves you from having to worry about getting swindled at an auto shop. That almond butter looks good! You always have the coolest Target finds. I have a bunch of books on hold at the library for our upcoming vacation so I am looking forward to reading a ton on the ship and just chilling out. I need to see if you still have the book lists on your blog now because I always loved seeing what you were reading. We really are! I think about that a lot. My truck has needed little fixes or repairs here and there since we’ve been dating and he’s always taken on those projects with ease. It’s amazing and has saved us a ton of the years! The almond butter is seriously the best almond butter I’ve ever had. Target for the win! I hope you have fun on your trip and get in lots of reading! I do still have the lists if you need any recommendations! Thanks, Ellie! We are loving that little tent! I’m super happy to hear how happy you are! Whoop whoop! I need to find that almond butter! Love the color and style of the bed! You new bed frame is beautiful! I’d definitely be interested in a progress post! That is just so neat that Jimmy made it himself. Also, that dark chocolate almond butter looks incredible. I will have to find it! Thank you so much, Tialla! I will post about it soon! I feel like I’ll need to ask Jimmy 50 questions about how he made it because I have no clue, LOL. 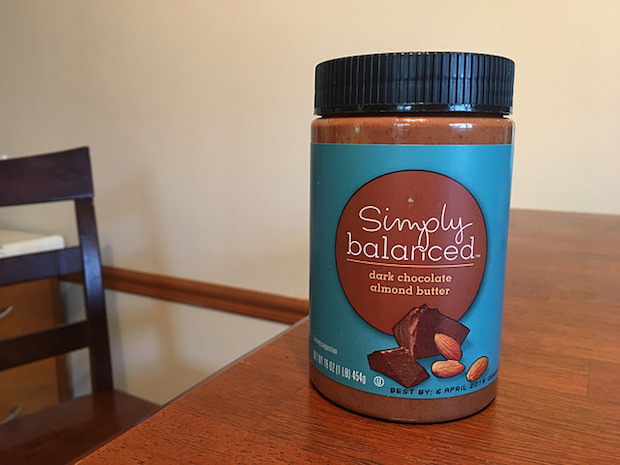 The dark chocolate almond butter is from Target and is amazing! The best I’ve ever had! I listened to The Magnolia Story on Audible and it was narrated by Jo and Chip. I liked their story (glad she gave him a shot after he was HOURS late for their first date – I don’t know that I would be so forgiving!) and really enjoyed listening to their narration. That bed is beautiful! Good work, Jimmy. And I’m so impressed that he fixed your fuel pump. Handy guy! I love that they narrated their book for Audible! I bet that was amazing. 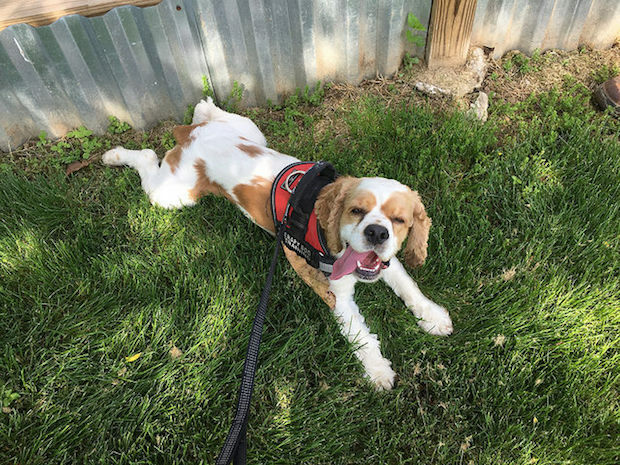 Some of the things Chip did… oh my! The first date, leaving Drake at their house when he was a baby. Crazy! Joanna is a patient and loving woman, haha! They seem like a great match love and business-wise though. Such a great book and story! I’m still amazed that Jimmy fixed my fuel pump, too! I’m not sure I knew what one was before that, haha! Ah I haven’t read The Magnolia Story yet, but I hear everyone is just loving it! Jimmy did such a great job with the bed! Seriously, how did he do that?!? It’s just gorgeous. And I love the hummingbird pictures!! I loved the Magnolia Story! It was such a fun read. I just finished flipping through her new cookbook and I love it too! Glad you made it okay on that walk! That’s scary! On a happier note, I can’t wait to hear all about the nursery!! Your bed looks AMAZING! Well done, Jimmy! I think you should definitely blog all about the process! Your whole bedroom looks so great. You guys did such a good job! It really is a great read! Chip and Joanna’s story is crazy and wild and beautiful and I loved it! Their cookbook is also awesome! So pretty. I can’t wait to try some of the recipes. I’ve been hearing good things about them! I can’t wait to post about the nursery, too! We may start working on it today?! We had a pink-ish color we were going to do for an accent wall, but I think we’re going to put it on the ceiling now!! Jimmy always has such fun ideas! I need to remember to take before and after pictures! I will absolutely post about the bed!! I am still so blown away that Jimmy made that with his hands. God has really blessed him with some amazing talents!